Without Information Management how do we Apply Governance Policy? 2. 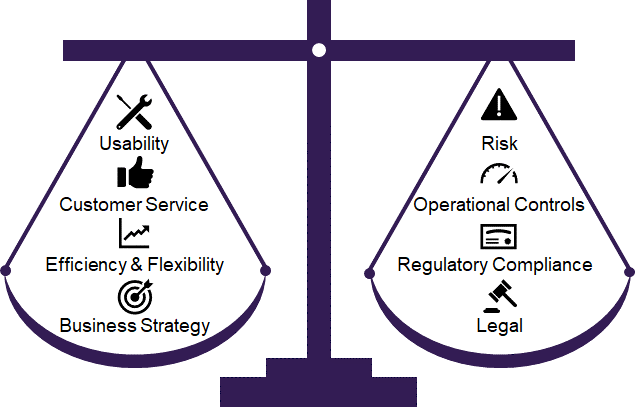 Information Governance – Value or Compliance? The 2018 IGI’s State of Information Governance Report states that Information Governance does not happen in isolation, it covers many different disciplines and practices across an organisation and one of the challenges faced is that it is being very much driven from a compliance perspective rather than a value perspective. « Data – the facts and figures from which information is derived. « Information – data in context. « Insights – learnings that are available for making future enterprise decisions. The key component of Information Governance that delivers Enterprise Information Value is Information Management. In fact without understanding the information that drives an organisation and how it is used there will be no understanding of where to apply governance to achieve compliance with any policies or procedures put in place by an IG program. The AIIM 2017 industry survey on Governance and Compliance reported that the biggest challenges reported in relation to IG are getting anyone interested (38%), getting endorsement by senior management (35%) and having the right people involved (31%). 28% of respondents also reported that they had difficulty allocating enough time from their day job to support IG efforts, and difficulty enforcing IG policies once they are complete, indicating that though there may be verbal support from management, it is nothing more than that. The business mindshare generated by increasing the value of information through a targeted Information Management project is a far easier route to project funding. Driving IG through this route in incremental steps is a far less daunting proposition than trying to get enterprise buy-in across all business areas for an Enterprise Wide Information Governance program. A key challenge of an IG program is to balance the need to meet legal and regulatory compliance with the operational needs of the business, its users and the creation of value for all stakeholders. « What Information do we need to manage – What’s important? What is of value? Who has it? Where does it live? Is it secure? Where do I start? What is the information lifecycle? How can we manage information across dispersed systems and geographies? « Governance – When and how do we get this in place? Who is responsible for the governance? How do we get everyone on board? Where do we start? What about legacy systems? « Records Management – Is this part of Information Governance - Where does this fit? What policies and processes do we need to put in place to meet requirements? As controls and processes are introduced to deliver IG components it is important to understand the ramifications for the business and keep these in mind as the business solution is implemented. These processes usually involve the system, policies, processes, people, change and end user enablement. More organisations are starting to see that an IG policy and related processes that are unnecessarily restrictive will in fact limit its adoption in the organisation. « The policies and processes that are required to manage the information from the perspective of the organisation’s legal obligations. An Information Governance Framework allows for the development of a common set of rules and processes for the management of information assets. It identifies the key stakeholders involved in Information Governance within the organisation, and the ultimate business outcomes sought. Ultimately, successful implementation requires a balance across all business drivers and stakeholder requirements. A framework recognises the difficulty in establishing an upfront Information Governance initiative across an organisation and instead promotes an incremental approach based on organisational priorities and existing programs of work. « Most Information Management initiatives do not have stakeholders across the enterprise but are driven from a specific area of the business. Involvement of stakeholders from areas such as legal, records management, risk, security will be required to ensure specific IG requirements are understood and to get organisational wide stakeholders and raise visibility of the value. « Typically, when implementing an Information Management solution, the Taxonomy is designed from analysing business artefacts rather than the processes that create, search for, and reuse these artefacts to add business value. Focussing on business processes supports increasing value rather than just managing information. « To drive an enterprise initiative around IG, the focus needs to be on creating value. It needs to apply end to end across the business and be closely aligned to the business processes of the organisation both structured and ad hoc. « A key challenge is to balance the need to meet legal and regulatory compliance with the operational needs of the business and its users. The right conversations - Information Governance means many things to many people. Before engaging with stakeholders, you need to make sure you are having the right conversations in a language that your stakeholders understand. Positioning IG holistically to drive compliance and deliver business value will vastly increase the business acceptance. « Performing a staged deployment department by department. « As business support increases it can then be used to create a critical mass for success across other areas of the business. This article was originally published on Astral website.